Tailgating is one of America’s favorite pastimes and rightfully so! 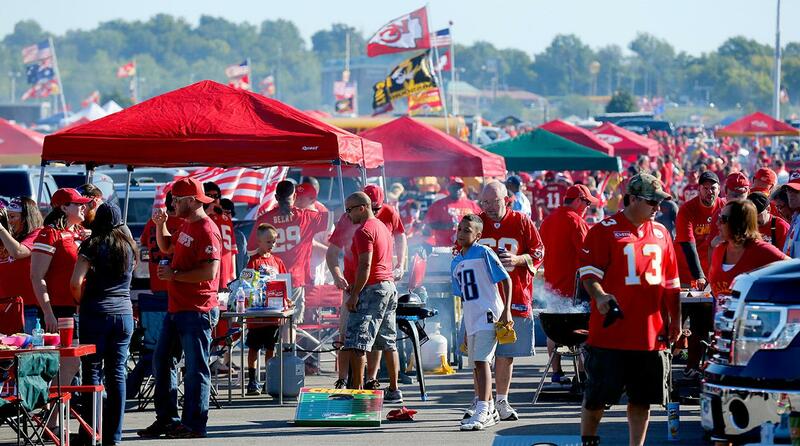 Tailgating brings communities together, encourages outdoor activity, and it’s just plain fun. There is one draw back, however; some of our tailgating traditions are simply horrible for the environment. Not to fret, there are steps tailgaters can take which will allow for full enjoyment of those weekend parking lot shenanigans, yet still honor dedication to a minimal carbon footprint. Follow these simple steps and achieve the ever so coveted Green Star Tailgater status. After every game, several thousand plastic cups, plates, utensils, etc., create a sea of trash. Ditch the disposable products; it’s really not that hard. No one is asking anyone to pull out his or her finest china. Go and get some cheap, reusable, unbreakable dishes from literally ANY department store. Designate the set “tailgating supplies” and continue to use them every time a tailgating shindig comes up. It’ll save a lot of money in the long run too. Of course it’s tough to avoid beer cans and/or bottles while tailgating. There will be beer; yes, there will be lots of beer. Save what must be thrown away in a trash bag and drop them off at the local recycling plant, or for most cities in the U.S., just leave it out near the sidewalk. Tailgaters can successfully party garbage free by using reusable products and recycling the rest. Challenge accepted? Pick food choices carefully, like Richard Sherman picks passes! Tailgaters have more sustainable food options than Kansas City Chiefs’ QB, Patrick Mahomes, has on Sunday. Purchase food in bulk to reduce the amount of packaging. Chip in with those tailgating accomplices–buy food in large quantities to save some green while going green. Make food from home, again using reusable containers for transporting–NO GARBAGE! Only buy food from stores sold in packaging that can be recycled, like paper. Root for the home team and buy local! Buying local supports the local economy and reduces emissions and packaging needed for transporting products from a greater distance. Lastly, propane is SO MUCH better than charcoal for grilling, is this really still a debate? Seriously, use propane. Take the bus! Reducing the number of vehicles on the road reduces congestion and air pollution, optimizing lung capacity, so fans can cheer on their team for all 4 quarters. Realizing, some tailgaters have a lot to carry with them, in which case, carpooling is another environmentally conscious option. Certainly the crew can optimize car space and minimize the number of cars. Now go earn that Green Star Tailgater status!